First National Bank is introducing consumer and merchant QR code payments to its banking app. The bank is using Masterpass, Mastercard’s digital payment service, to offer the functionality. Consumers and sole proprietor business will be able to perform and accept QR code payments using the app, the bank said on Wednesday. The FNB app has 2.8 million active users. 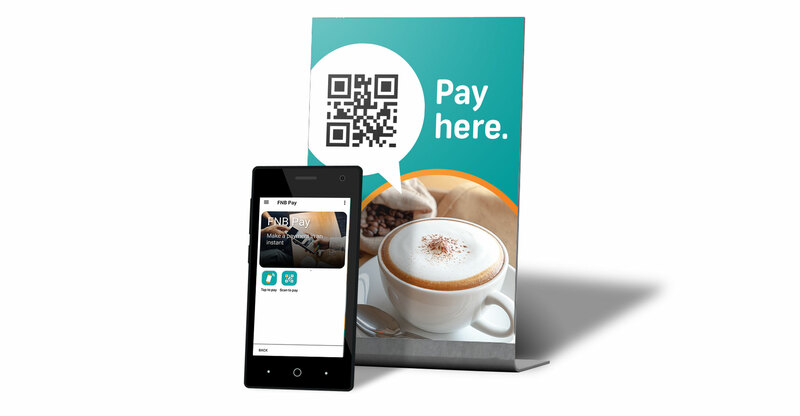 The ability to make QR code payments offers customers “convenient and secure alternatives to carrying cash”, said FNB Retail CEO Raj Makanjee. FNB Business CEO Mike Vacy-Lyle said the feature will help grow digital payments acceptance among business customers and reduce reliance on physical cash, which “remains one of the biggest challenges for such businesses from a cost, security and time-management perspective”. To make a payment, individual FNB customers must enable the new FNB App “Scan to Pay” widget on their smartphones. Alternatively, they must select the Payments option on the FNB App, log in and select FNB Pay, then click on “Scan to Pay”. Similarly, businesses will select Payments, log in and click on “Speedpoint”, register and begin to utilise the service within 24 hours. Businesses have the option to display the QR Code within the FNB app, e-mail and print the QR code, or share it via social media. There are no monthly rental or maintenance costs.